One of my 2011 New Year’s resolutions was to force myself to like more foods. 2011, I decided, would be the year that I developed my palate. No more chicken tenders, no more judging foods before I tried them, no more vegetable-avoiding. Since then, I’ve learned to like love countless new foods. Things like avocados, all manner of greens, nuts, whipped cream, and chili – all of which I used to turn down without so much as a nibble. Every time that I tried something new, I swear I could hear “A Whole New World” playing in my head. Like, really… WHAT was I so afraid of with all of these amazing foods? And what else was out there, just waiting to be tried by my virgin tastebuds? Enter okra, stage left. 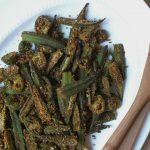 The first time I ever tried okra was last fall; my first bite was taken with a wrinkled nose and eyes pinched shut. The first time okra hit my tongue though, it was game over. The unique flavor and texture was nothing like what I had expected. Since then, okra has become synonymous with fall. Some people get excited for the pumpkins, but me? I’m all about the okra. 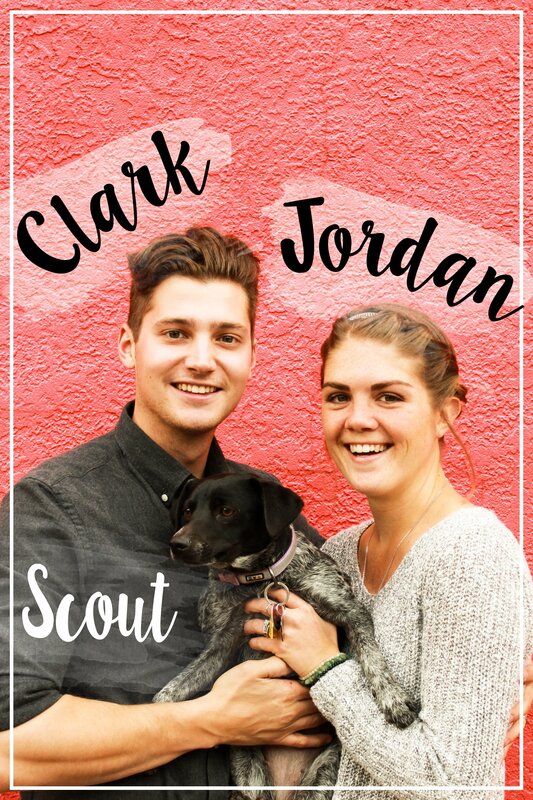 As soon as mid-August rolls around, we start looking for it at our local market and later in the season, we hit up the farmer’s market to buy it in bulk. Before we go any further, let’s get one thing straight: Okra is not a vegetable. It is a fruit. I know, I was surprised too. But you know what they say — you learn something new every day. I also learned that okra is a little powerhouse of health benefits, and that should be plenty of reason to try it out. Okra has a bit of a bad reputation. A lot of people [I was one of these people] think that it has a slimy texture, which is true to some extent. When you slice it, you’ll notice some stickiness. Not to worry because, A) this stuff is really, really good for you and B) the off-putting texture disappears when it is cooked properly. 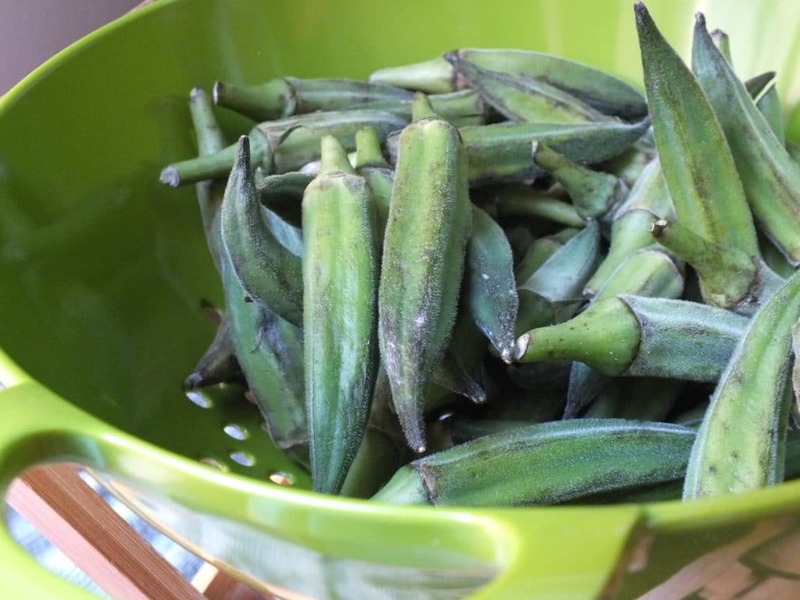 Like other alkaline foods, okra is especially beneficial for digestive and circulatory health. It regulates blood sugar, reduces inflammation throughout the entire body, and promotes the growth of probiotics. Its seeds are a prime source of plant-based protein with an abundance of important amino acids. 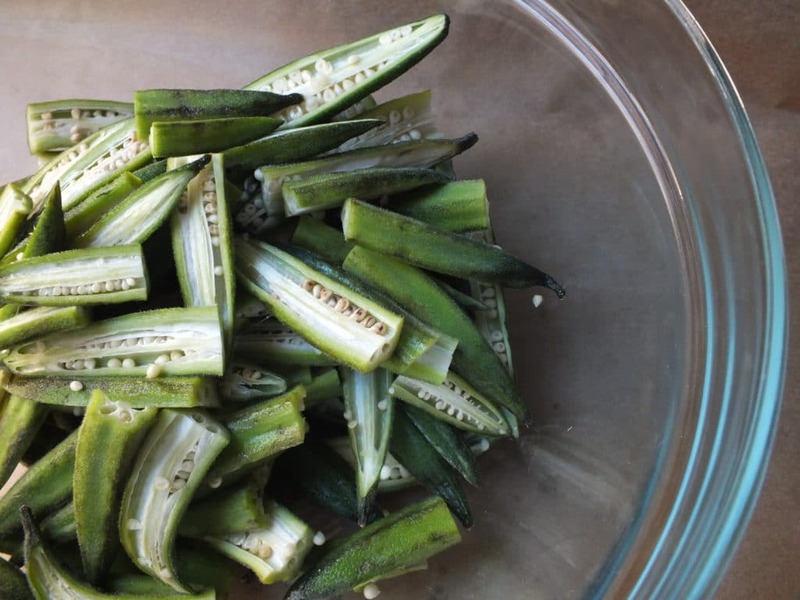 I could go on and on about okra’s other redeeming qualities, but you get the point — it’s really freakin’ good for you. Don’t be like the food-judging old me. Don’t turn up your nose before you try okra the way it was meant to be enjoyed. Which is, if you haven’t already guessed, what this recipe will show you how to do. 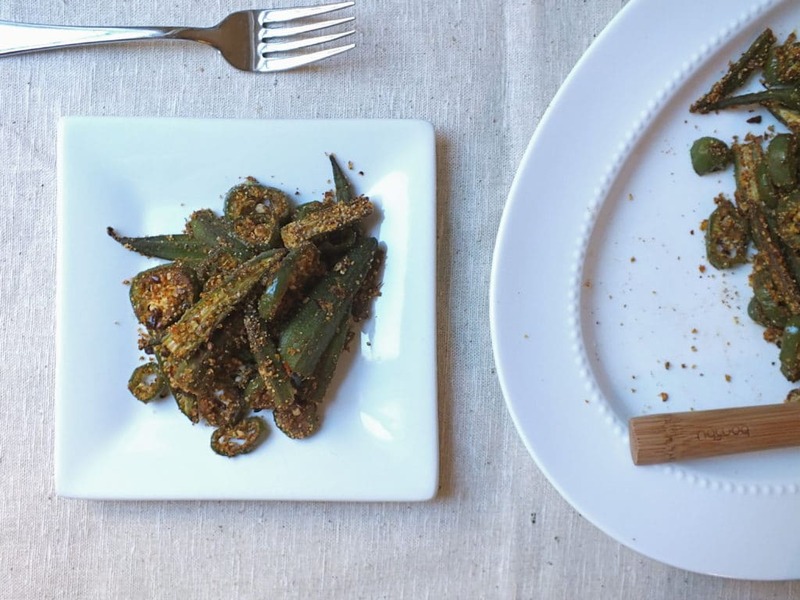 Seasoned simply and oven-roasted to perfection, okra makes for a delicious and healthy fall recipe. 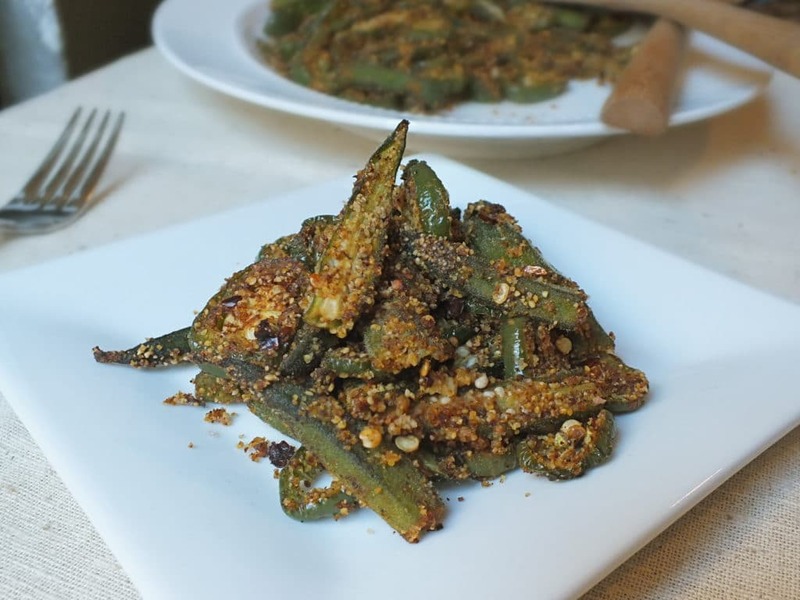 Spiced with jalapeños, chili powder, and chipotle, this okra side dish puts a crispy new spin on an unpopular veggie. Wash and prepare okra and jalapenos as directed above. In a large bowl combine chili powder, chipotle pepper, red pepper flakes, sea salt, and millet flour. Add okra, jalapeños, and olive oil and toss until coated with seasoning. Place on parchment lined pan and bake for 17-20 minutes. Awesome recipe! I used almond flour and added 1/4 cup grated parmesan, and used Cajun spice. It turned out crazy delicious!!! Thank you so much for this great recipe!!! Yum! Love the changes you made – glad you enjoyed it! Is it possible to use another kind of flour or omit it entirely? 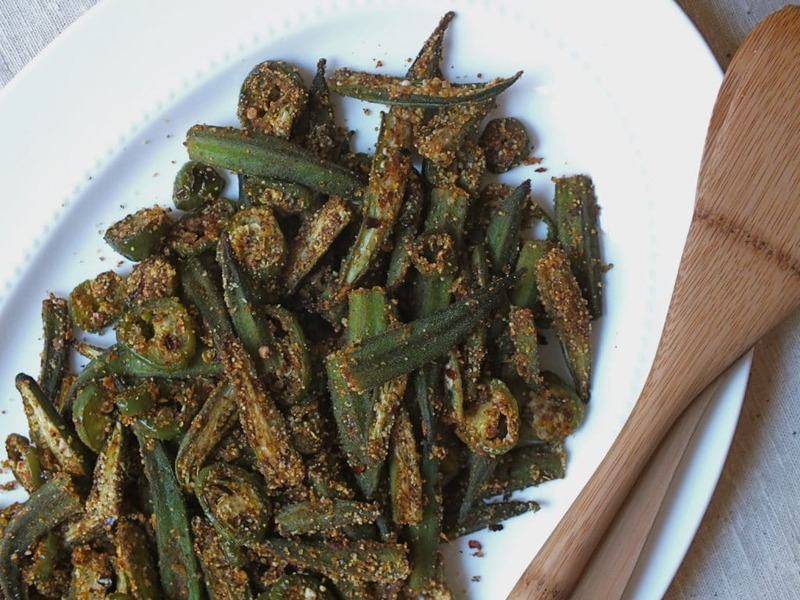 The flour helps the okra get crispy and crunchy. You could definitely leave it out though – the flavor would still be great! Would regular AP flour work? Maybe a little less if you had to guess. I am just not familiar with Millet flour so I can’t picture its texture or how it would vary compared to AP. Millet flour is slightly courser, closer to cornmeal’s texture. That helps to make the okra a little bit crunchy. The all purpose flour would likely work just fine, but may have slightly less crunch. Does it not use any oil at all? Oops! Sorry, Lu. We used about 2 Tablespoons of olive oil. I added that into the recipe. Thanks for pointing that out! Is the jalapeno in the recipe for the spice or for another reason, please? Thanks! It’s not necessary by any means. We added it for some tasty heat!